The Tiny House and Simple Living Jamboree -- October 27-29 at the Arlington Convention Center-- will be here before you know it! As the world’s largest celebration of simplicity, the Jamboree plays host to the latest and greatest in tiny houses, simple living, and sustainability. With over 65 structures, it will have the biggest collection of tiny dwellings ever assembled. Below is a guide to 8 awesome activities to check out while you’re at the show so you don’t miss any of the exciting content going on all weekend long. The Outdoor Village will feature an abundance of tiny house builders and their incredible designs. Attendees can tour a variety of homes including bus conversions, van conversions, yurts, park models, and of course, moveable tiny houses. Many designs will be for sale so if you’ve been looking to purchase a tiny house, this is the place to be! The DIY Village will feature 20 tiny house structures that have been built by hand! Tiny house dwellers from all over the country will relocate their living quarters for the weekend and be on-hand to share their stories and insight. Their amazing work will provide you with a fresh perspective and may even inspire you to start your own DIY build! The Jamboree programming is a huge weekend highlight. Attendees with common interests gather together to listen to featured speakers talk about their experiences, share their expertise and even answer your questions! Some of the sessions teach you skills—like how to build with salvage materials or cook in a tiny kitchen. Others feature behind-the-scenes sneak peeks and film screenings. The programming is also a great way to sit and relax after walking the around the show all day without missing out on the fun. Stop by the Main Stage and the Village Stage (bring a blanket to sit on!) to join in. If you have a premium pass, you’ll get access to even more exclusive panels in Premium Rooms 1, 2, and 3! As you walk the indoor and outdoor portion of the show, you’ll see plenty of awesome exhibitors. At their booths, you’ll have the opportunity to explore products and services for all your tiny house needs. Don’t own a tiny house? We’ll also have options for sustainability, appliances, smart home, and landscaping. Don’t forget to stop by the show store to grab some official merchandise. Don&apos;t miss the chance to work alongside Zack Giffin, Tiny Home Specialist and co-host of FYI’s TV Show, Tiny House Nation, to learn convertible furniture and finish carpentry techniques while helping to complete a tiny home for a veteran in need. After the event, Operation Tiny Home will donate the finished tiny home to Farmers Assisting Returning Military - F.A.R.M. 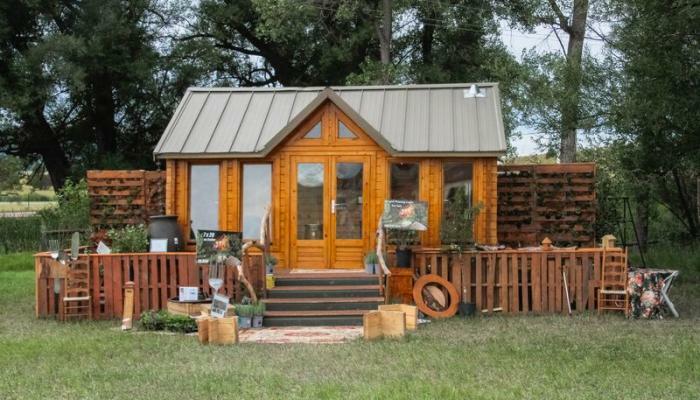 Zack will be conducting workshops on Thursday, Friday, & Saturday and will be joined by his Tiny House Nation Co-Host, John Weisbarth, on Friday and Saturday. All weekend long, Tiny House & Simple Living Jamboree will have themed meetups for attendees to get together and make new friends within the community. Join in on a game of Tiny House Charades, swap some recipes with fellow vegans or bring your acoustic instruments and play some tunes at the musical jam! Looking for some family friendly activities? Then the Kids Zone, sponsored by DFW Child, is the place to be. The Kids Zone is located in the Outdoor Village and we’re packing it full of hands-on workshops, arts & crafts and more. Visit Matilda, a retired school bus that has been converted into a classroom for educational activities or sit in on story time with the author and illustrator of The Big Adventures of Tiny House. Did we mention kids get in for free? First and foremost, the Jamboree is about you—the attendees. There’s plenty to see and do, so choose what you love and enjoy the show!